The first target is to make broadband policy universal. By 2015, The Comission wants all countries to have a national broadband plan or strategy, or to include broadband in their universal access and service definitions. The second target is to make broadband affordable for all. The Commission said that by 2015, entry-level broadband services should be made affordable in developing countries through adequate regulation and market forces. Each country should also set key parameters; for example, the cost should amount to less than five per cent of average monthly income. The third target is a push to get broadband access into homes. 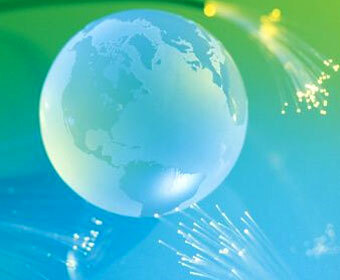 By 2015, 40 per cent of households in developing countries should have internet access, the Commission said. The final target is to get people using the internet. The Commission has stated that, by 2015, internet user penetration should reach 60 per cent worldwide. 50 per cent of people in developing countries should have broadband access and a target of 15 per cent has been set for the Least Developed Countries (LDCs). “These targets are ambitious but achievable, given the political will and commitment on the part of governments, working in partnership with the private sector,” said Dr Hamadoun Touré, co-vice chair of the Commission and secretary-General of the ITU. The ITU said that it will undertake the task of measuring each country’s progress towards the targets, and will produce an annual broadband report with rankings of nations worldwide in terms of broadband policy, affordability and uptake. The average monthly broadband charges in developing countries should not be more than 2 percent of the monthly household income to remain affordable.